When you remove skills with eight or fewer ratings, the spread is more evening distributed with peaks at 2.8, 3.0, 3.5, 4.5, 4.9 and 5.0-star review averages. Voicebot recently updated our annual analysis of Alexa skills reviews at the end of September and pointed out that 61% have zero user ratings and only 1% had more than 100. Dashbot has added further analysis of more than 40,000 Alexa skills in the U.S. and found that 62% now have zero ratings and 65% of 5-star rated skills have only a single user review. In addition, 78% of the 1-star rates skills had only a single review. These single rated skills cause a skew in analyzing rating clusters because of the bias toward 1-star and 5-star reviews. The earlier Voicebot analysis found that 22% of Alexa skills have more than one rating. 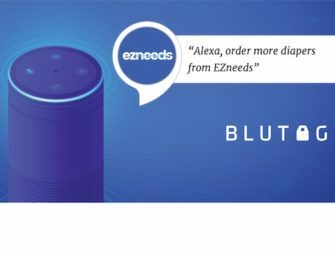 Dashbot takes this group of over 8,000 Alexa skills and then compares that with the 5% of skills with more than eight reviews. This produces two interesting charts. Focusing the analysis on skills with more ratings introduces more variety of user experience and a higher likelihood that some raters don’t personally know the skill developer. This creates a more evenly distributed ratings set and lessens the pull of 5-star reviews. It still shows that very few Alexa skills receive poor ratings with averages less than two. And, it illustrates that most skills are viewed as average or very good producing and inverted bell curve between 2.8 and 5.0 average rating levels. This is a useful finding for Alexa skill users. If you see that a skill has a rating of less than 2.8, it is in a small cohort that has failed to meet user expectations. Between 2.8 and 5.0 you know that skill falls into the range of most skills. Again, higher is probably better, but unless a skill has more than eight reviews, you should take the star rating as likely skewed. Another interesting finding is that the Games, Trivia and Accessories category dominates both in terms of the largest number of unrated skills and total skills. About half of the skill categories appear to have about half of their skills with zero ratings. In this regard, the games category is among the best with about 60% having some ratings. The categories with the highest average ratings were Music & Audio and Business & Finance. Both had average skill ratings over 4-stars. The only category with an average skill rating below 3.0 was Utilities. These are skills such as calculators, stop watches and phone finders. However, despite the overall low rating, several skills in this category do manage to stand out including the to-do list skill, Any.do and Retirement Countdown. There is additional data and analysis in the Dashbot blog post which summarizes the analysis. It’s worth a quick read. Let us know what you think about Alexa skill ratings, or lack thereof, on Twitter.